Being saved by God isn’t the same as being rescued. It’s not aid given to the poor by the rich, it’s not a doctor saving the life of a patient, and it’s not the loving help of a kind person or a charitable organization. God’s salvation is prepared for the sake of saving mankind and it is overflowing with God’s great love and mercy for humanity. Gaining it means that we are able to accept God’s salvation, obey His current words and work, put God’s words into practice, comply with God’s way, as well as do things and conduct ourselves in accordance with His requirements. This is the only way we can gain God’s salvation. Throughout each of our lives God will give us many opportunities to gain His salvation, but in order to get it we must first acknowledge and accept it. Otherwise, we will miss the chance just like the foolish virgins did, and we will regret it for eternity. There are some who may say: “If the chance is gone, it’s gone. It doesn’t matter.” But is that true? We must first understand this fact: Missing out on God’s salvation isn’t like missing out on a tasty meal or like missing a bus, nor is it like missing a chance at getting higher education or a new job. Rather, it is like a person trapped in a burning building missing a firefighter’s rescue; it is like someone who is drowning failing to catch a piece of driftwood. It’s clear that whether we are able to accept and gain salvation from God is directly related to the incredibly important issues of whether we can gain God’s approval, and be saved and enter into the kingdom of heaven. Missing out on God’s salvation is a regrettable, pitiable thing; knowing and gaining God’s salvation is incredibly important for all of us! Since it is so important, let’s now come to understand God’s salvation from His work and seek out how we can gain it! In the beginning, God created the heavens and the earth, and all things. After everything was set up, He created Adam and Eve, human beings’ progenitors. God put them into the Garden of Eden, and they lived happily under His protection. However, they were tempted into betraying God by the snake and were then driven out from the Garden of Eden and into a life of sickness, aging, and death. From then on, mankind became more and more corrupt and fell into such evil and depravity that God used a great flood to wipe out all human beings of that time, only allowing eight members of Noah’s family to survive. After that humanity continued to survive and reproduce on the earth, but the people of the time were aware of nothing more than their food and lodging and all the grace God bestowed upon them. They did not understand how to be good people, how to live on the earth, where human beings came from or how to worship or revere God. People like that had no ability to glorify or exalt God and they were entirely unable to meet God’s will. This is why God initiated His work of management for mankind’s salvation. Jehovah God used Moses to issue His commandments and the law to guide mankind’s lives on earth. For example, observing the Sabbath, honoring one’s parents, not worshiping idols, and not committing adultery or stealing. He also put regulations into place for people’s sacrifices, for food, recompense for theft, as well as the slaughtering of animals. 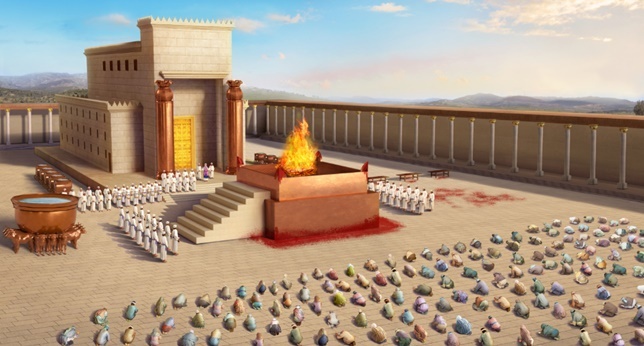 Anyone who violated God’s laws would be burned or stoned to death, but if they kept Jehovah’s laws and commandments, they would be blessed by Him. Jehovah God restrained human beings by means of His commandments and laws; this guided people to live on earth in a proper, orderly way, allowing them to carry things out according to standards and know that people should worship the one and only God—this was God’s salvation in the Age of Law. By coming before God, heeding Jehovah’s words, upholding His laws and commandments, and devotedly worshiping Jehovah, people could be saved and blessed by God, and they could gain God’s salvation in the Age of Law. Late in the Age of Law people became more and more corrupt, and fewer and fewer people were keeping the law and the commandments. They were doing many things that offended God’s dispositions, such as worshiping idols, committing adultery, devising wicked schemes, committing theft and robbery, and being greedy and corrupt. They were even using lame and blind doves, cattle, and sheep as sacrifices for God. God is righteous and holy; that kind of behavior by people inevitably led to their deaths as determined by law because God’s disposition was offended. However, God loves mankind and does not want to destroy all of man, so He personally became flesh to come to earth. The Lord Jesus incarnate ended the Age of Law and began the Age of Grace; He expressed the way of repentance, providing mankind with a new path of practice. He taught people how to be forgiving and tolerant, how to love their enemies and forgive others seventy times seven times. The Lord Jesus also healed the sick and drove out demons; He carried out all manner of miracles, and as long as people genuinely confessed, the Lord Jesus would forgive their sins with His great tolerance and patience. Finally, the Lord Jesus was nailed to the cross as a permanent sin offering for mankind. He took on all of humanity’s sins, achieving the work of redemption of the Age of Grace. This is the salvation brought to mankind by God in the Age of Grace. By accepting the salvation of the Lord Jesus, praying in His name, and confessing and repenting to the Lord, our sins can be redeemed and we can enjoy the peace and joy brought to us by God. This is gaining God’s salvation in the Age of Grace. The Lord Jesus redeemed us, allowing our sins to be forgiven. However, our sinful nature hasn’t been gotten rid of. Our satanic dispositions of being arrogant and conceited, selfish and despicable, crooked and deceitful, evil and greedy, sinister and malicious, are still deeply entrenched within us. Dominated by these satanic dispositions, we still sin and resist God in spite of ourselves. For example, we often engage in conflict and intrigue for the sake of our own advantage, even losing trust in our own loved ones. When we face illness, calamity, or danger, we blame and misunderstand God. We even try to reason with Him and oppose Him. We completely lack obedience. Jehovah God said: “You shall therefore be holy, for I am holy” (Leviticus 11:45). The Lord Jesus said: “Truly, truly, I say to you, Whoever commits sin is the servant of sin. And the servant stays not in the house for ever: but the Son stays ever” (John 8:34–35). God is holy, and no sullied people may enter into His kingdom. We are covered with filth; we are corrupt and unrighteous, and we are unworthy of seeing God’s face or entering His kingdom. It is written in the Bible, “For the wages of sin is death” (Romans 6:23). We can see that if we are never able to cast off the shackles and strictures of sin and continue to frequently knowingly sin, we will be in opposition to God because of our sins and will thus be destroyed by Him. However, God’s words say: “Since He created man, He leads him; since He saves man, He will thoroughly save him, and will completely gain him; since He leads man, He will bring him to the proper destination; and since He created and manages man, He must take responsibility for man’s fate and prospects. It is this which is the work done by the Creator” (“Restoring the Normal Life of Man and Taking Him to a Wonderful Destination”). God created mankind and wants to completely gain man. Since He is saving mankind, He wants to completely save man from Satan’s grasp. This is why God has prepared the salvation of the last days for us. Just as it is written in the Bible: “Who are kept by the power of God through faith to salvation ready to be revealed in the last time” (1 Peter 1:5). “So Christ was once offered to bear the sins of many; and to them that look for him shall he appear the second time without sin to salvation” (Hebrews 9:28). “Why gird up the loins of your mind, be sober, and hope to the end for the grace that is to be brought to you at the revelation of Jesus Christ” (1 Peter 1:13). God’s words say: “The sins of man were forgiven, and this is because of the work of God’s crucifixion, but man continued to live within the corrupt satanic disposition of old. This being so, man must be completely saved from his corrupt satanic disposition, so that his sinful nature may be completely extirpated, never to develop again, thus enabling the disposition of man to be transformed. This would require man to grasp the path of growth in life, to grasp the way of life, and to grasp the way to change his disposition. Furthermore, it would require man to act in accordance with this path, so that his disposition may gradually be changed and he may live under the shining of the light, so that all that he does may be in accord with the will of God, so that he may cast away his corrupt satanic disposition, and so that he may break free from Satan’s influence of darkness, thereby emerging fully from sin. Only then will man receive complete salvation” (“The Mystery of the Incarnation (4)”). We can see from these words that the Lord Jesus returning in the last days is to bestow upon us the way of life so that we may understand all truth, understand the path to our corrupt satanic dispositions being cleansed, and cast off the shackles and strictures of our corrupt dispositions. It is only in this way that we can become people in line with God’s will, manage to gain God’s salvation, and be qualified to enter into His kingdom. This is the salvation that God has prepared for us in the last days. What is the work that God of the last days primarily does? The Lord Jesus said: “I have yet many things to say to you, but you cannot bear them now. However, when he, the Spirit of truth, is come, he will guide you into all truth: for he shall not speak of himself; but whatever he shall hear, that shall he speak: and he will show you things to come” (John 16:12–13). “He that has an ear, let him hear what the Spirit says to the churches” (Revelation 2:7). “He that rejects me, and receives not my words, has one that judges him: the word that I have spoken, the same shall judge him in the last day” (John 12:48). “For the Father judges no man, but has committed all judgment to the Son” (John 5:22). “For the time is come that judgment must begin at the house of God” (1 Peter 4:17). God has clearly told us that God of the last days will utter more words and do the work of judgment, leading us to enter into all truth. 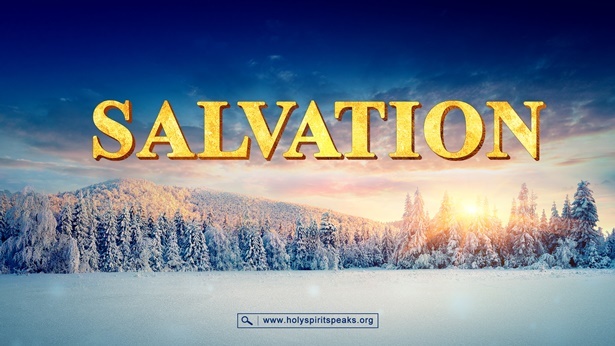 By accepting God’s salvation of the last days, understanding all aspects of the truth, finding the path to our sins being cleansed, as well as acting in accordance with God’s requirements and the path He points out for us, we will be able to free ourselves from our corrupt satanic dispositions, be cleansed, and gain God’s salvation. Only this is gaining complete salvation from God! May we all be wise virgins who truly heed God’s voice, and when we hear that someone is bearing witness that God is uttering words and doing the work of judgment, do not blindly reject it. Instead, we should treat it with caution and proactively seek and investigate it to see if that way really is God’s work, if it contains expressions of the truth. This is the only way we can welcome the returned Lord Jesus and gain God’s salvation of the last days! Previous：What Is the Meaning of Christmas, and Are You Truly Worshiping the Lord Jesus?